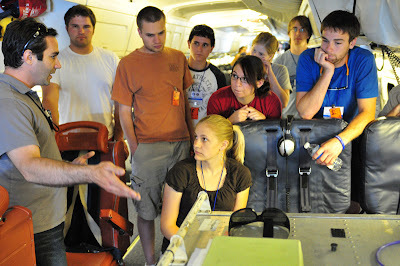 Today all 29 SARP participants flew on the NASA DC-8 for an instrument check flight. Inside the DC-8, we all donned our headsets, strapped ourselves into our seats, and took off from the Palmdale Regional Airport. 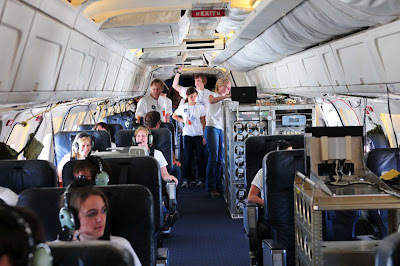 The main goal of the flight was to calibrate the MASTER instrument over the Salton Sea. 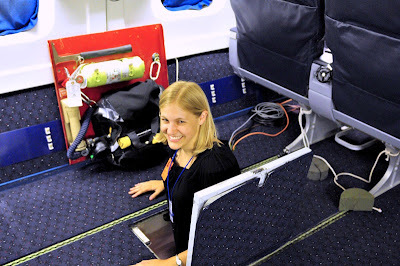 We also took some air samples with the Whole Air Sampler during the flight. 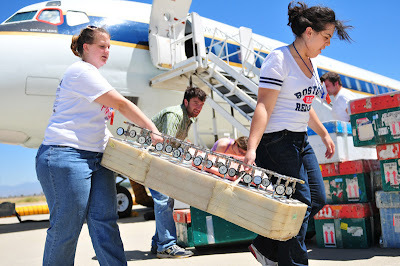 In addition, we collected air samples over a water treatment plant near the airport in Palmdale just before we landed. We flew at ~13,000 feet for most of the short (425 mile) flight. 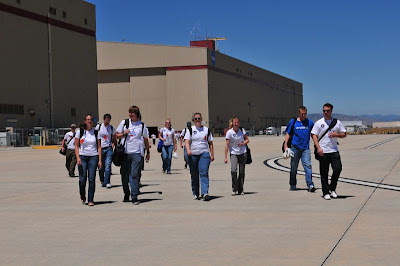 After the flight, the Land group left to drive out to an almond orchard in the Central Valley. 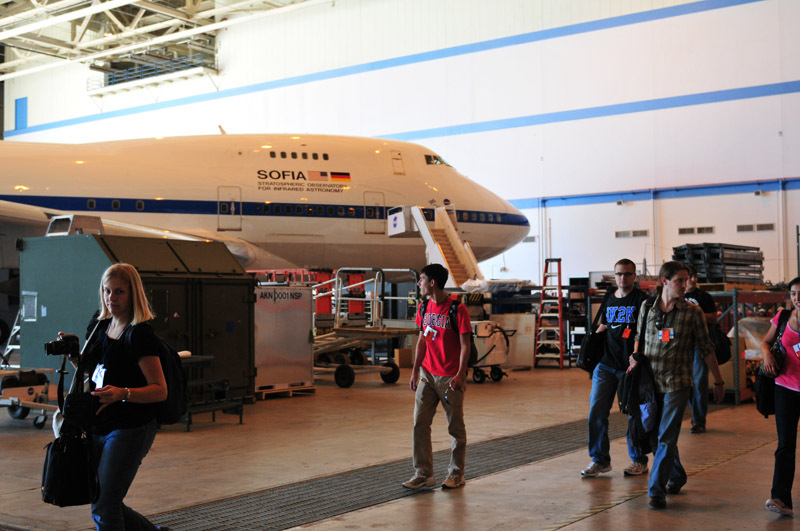 They will be out in the field taking data when we fly over them during tomorrow’s science flights! When they weren’t reading up on their projects in preparation for next week’s flights, many SARP participants went on hikes this weekend! 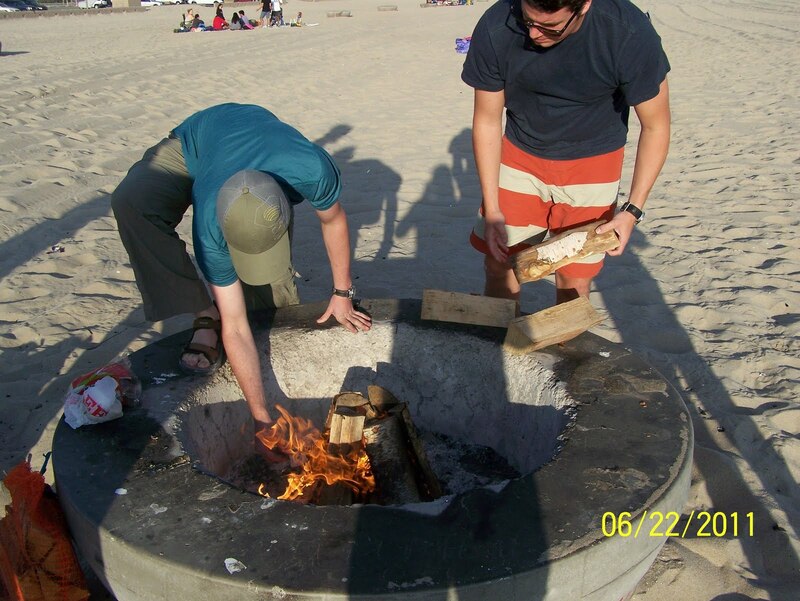 On Saturday, Sherry led a group to Devil’s punchbowl county park. Zhanna, Julia, Nick Atkins, David, and Michael went on the 7-mile hike to the Devil’s Chair. Daniel and Sherry took it easy and hiked down into the punchbowl to explore the desert streams. They found a delightful desert stream which was a welcome relief at 50 degrees F.
Much of the ‘hike’ was spent wading in the pool of a waterfall. Daniel was very excited to explore the geology and lamented that he did not have his field scope handy so that he could identify the microscopic particles in the sandstone composite. 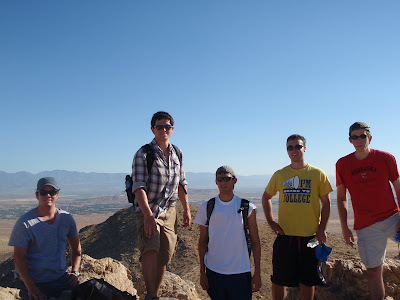 On Sunday, nine SARP students plus Sherry and Shawn braved the heat to go for a hike at the Saddleback Butte State Park just outside of Lancaster, CA. We took plenty of water and had a great time exploring the native fauna, flora and rock outcroppings of the area. Sightings included one fox, one jack rabbit and numerous chipmunks. There was a skunk in the area which we fortunately did not encounter and only smelled from a distance. On the way back we all sat down for some tasty Thai food. We loaded up the vans bright and early Thursday morning and headed north for 100 miles from Irvine through Los Angeles and up to Palmdale. The notorious LA traffic turned out to be a breeze and we made it to the Dryden Aircraft Operations Facility (DAOF) in Palmdale by 10AM. The temperature was ~100F – quite the contrast from cool Irvine. We all got badged and on base (thanks Romo!) and had a tour of the hangar. Thursday afternoon’s lectures at the DAOF included information on instrument integration, data systems, and facility instruments. 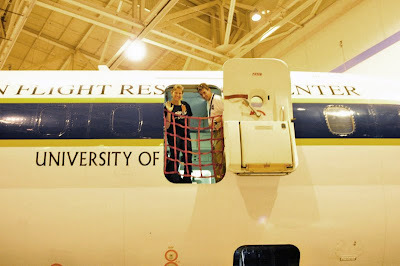 In addition, students also got their first look inside of the DC-8. 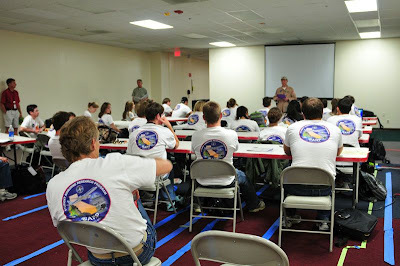 Friday morning we had lectures on meteorology from Dr. Henry Fuelberg and flight planning by Rick Shetter. We also watched a DC-8 safety movie (it was similar to the ones shown by the airlines — but quite a bit more involved!) After the morning’s lectures, we all walked out to the DC-8 (it had been moved outside of the hangar since yesterday). 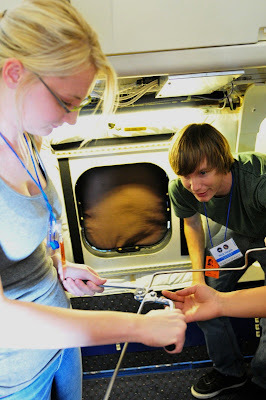 The Air group worked on bending tubing for the Whole Air Sampler (WAS). 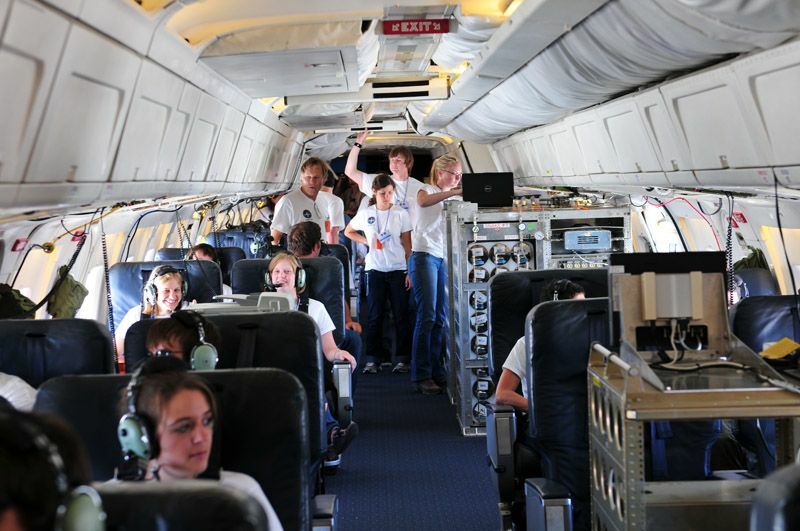 The Land and Ocean groups learned more about the MODIS/ASTER airborne simulator (MASTER) remote sensing instrument that they will use for their projects. Students climbed up inside the belly of the DC-8 to see MASTER up close. After two long but exciting days, we all relaxed poolside at the hotel. 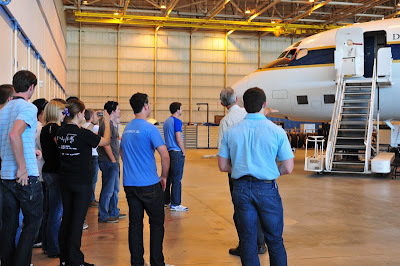 Everyone is extremely excited for the first DC-8 flight on Monday! 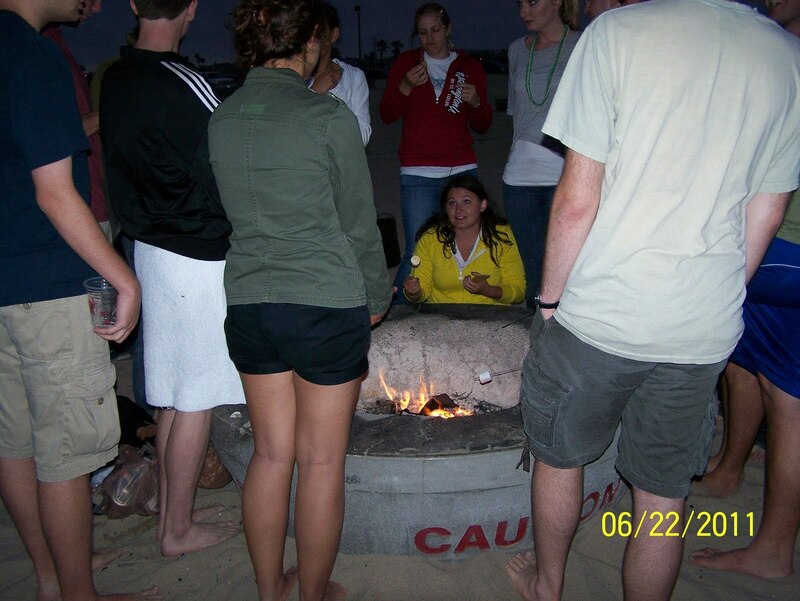 To celebrate our last night in Irvine before traveling to the Dryden Aircraft Operations Facility to prepare for our flights next week, SARPians headed out to Huntington Beach for a dinner and a bonfire on Wednesday night. The weather was a bit cold — but that didn’t stop a fewbrave SARPians from swimming in the Pacific Ocean. Everyone warmed up around the fire, roasting marshmallows and making s’mores as the sun set. Tomorrow we leave bright and early to drive to Palmdale! Twenty-nine advanced undergraduate and early graduate students traveled from all over the United States to participate in the NASA Student Airborne Research Program (SARP) at the University of California Irvine on Sunday. With the exception of one delayed flight, all travels went off without a hitch. 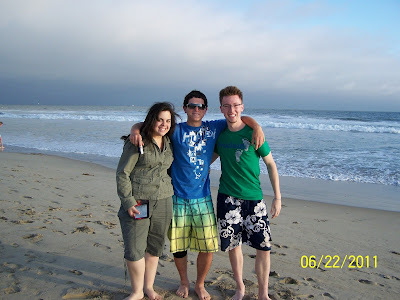 For some, this was their first trip to California, while others came from only a few miles away. After checking in to the campus housing at UCI, (where we were surrounded by beautiful purple Jacaranda trees in full bloom), everyone unpacked, met their roommate, and relaxed in their rooms for a bit. After months of communicating only over email, it was wonderful to finally meet face to face. 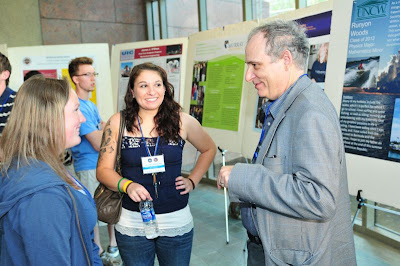 At 6:30PM on Sunday June 19th, SARP 2011 officially kicked off with the icebreaker/poster session. All 29 SARPian’s prepared and submitted posters with information on their academic backgrounds, research interests, and hobbies. 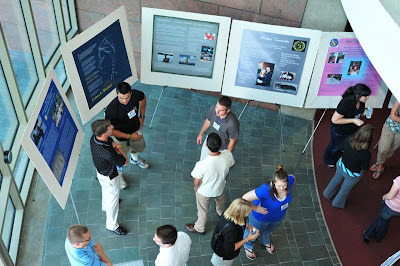 These posters were printed out and displayed in the atrium of the Natural Sciences II building on the UCI campus. SARP participants got to know each other and mingled with NASA scientists and administrators, SARP faculty, mentors, NSERC staff. Background lectures from university faculty and NASA scientists and administrators will continue through Wednesday (see the schedule here: http://www.nserc.und.edu/learning/sarpSched2011.html). On Wednesday afternoon the students will split into three groups based on their interests (informally called the Air, Land, and Ocean groups). The Air group, lead by Dr. Donald Blake of UC Irvine (with mentor Julie Lee), will study pollution in the Los Angeles basin. The Land group, led by Dr. Susan Ustin of UC Davis (with mentor Shawn Kefauver) will study evapotranspiration from orchards in the California Central Valley. Finally, the Ocean group, led by Dr. Raphael Kudela, will study the distribution and abundance of giant kelp in the Santa Barbara Channel. 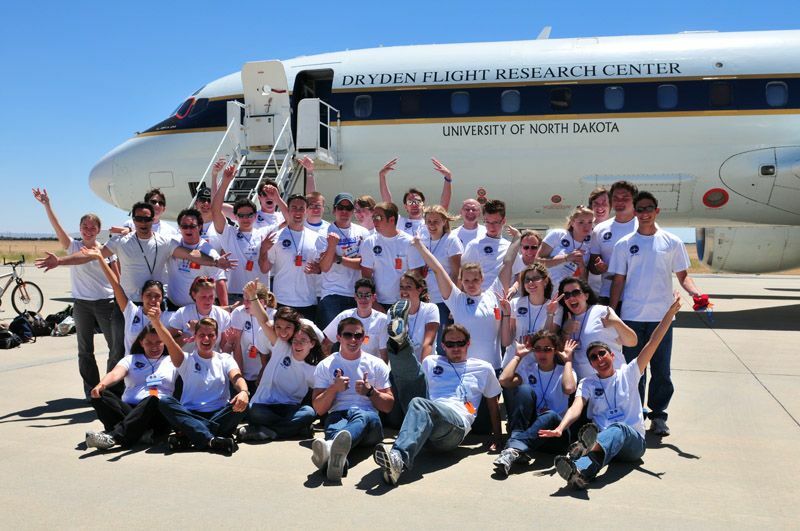 Next week all groups will get to fly on the NASA DC-8, departing from the NASA Dryden Aircraft Operations Facility in Palmdale. During the flights, the aircraft will fly north over the San Joaquin Valley over almond orchards, fly over the Santa Barbara Channel to study giant kelp beds, and fly over water treatment plants in Los Angeles Basin to study air pollution. 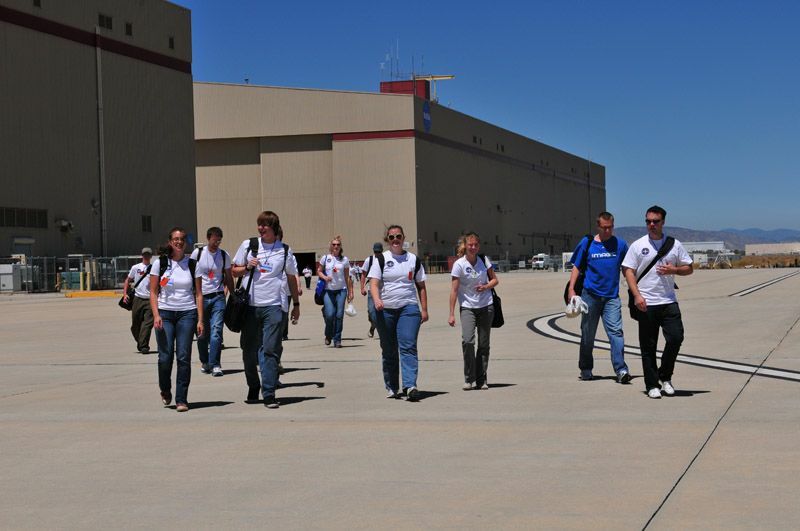 We are all very excited for the upcoming flights and trip to Palmdale on Thursday!